Boyle Heights is a bustling Latino neighborhood just east of downtown Los Angeles with a history dating back before the Mexican-American War. However, it’s the pressures of the present day that weigh heavily here. Approximately 66 percent of the population lives below 200 percent of the federal poverty level, 22 percent are uninsured, and few primary care doctors remain. The systemic poverty the residents grapple with creates ripple effects throughout their lives. The ability to access affordable health care is among the most critical challenges. Many in Boyle Heights, and similar communities across California, wait until they are so sick that they are forced to visit the emergency room because they cannot afford health insurance. Having to make such decisions can have negative ramifications not only on their own long-term health but for the entire health care system in the region. OLE Health and other CHCs have become frontline providers of many kinds of care, taking on care that they historically have not provided. In the face of such struggles in Boyle Heights and communities like it, there are a few health care providers that provide a safety net for local residents. In the northwest area of Boyle Heights, for example, White Memorial Community Health Center serves approximately 20,000 patients. 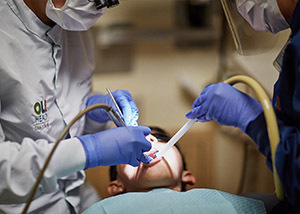 This community health center (CHC) provides crucial primary and preventative care, behavioral health and dental services, and serves as an alternative to emergency room care for low-income patients in a generally underserved community. 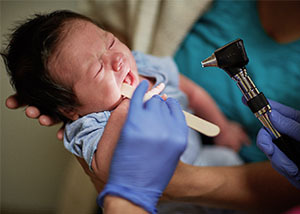 East of San Francisco, Tri-City Health Center offers primary and preventative health care services to low-income and uninsured patients in the Alameda County area. In a new 20,000 square foot facility amid a large immigrant population, Tri-City implements a Patient Centered Medical Home model—which coordinates care across teams (i.e. medical, behavioral health, lab)—serving 8,000 patients and employing staff that cover 20 languages, which is reflective of the surrounding community. Urban and rural communities alike—especially those in high-poverty areas with low-wage populations made up of people of color and immigrants—would fall through the cracks without the services provided by CHCs like White Memorial and Tri-City. It is their ability to serve residents, no matter their socio-economic status or ability to pay, that creates an equitable system of care necessary to build healthier communities. In order to continue providing this kind of high-quality community care, CHCs need adequate financing to grow to reach more patients and provide more patient-centered, whole-person care. But financing can be hard to come by. Too often, CHCs operate in areas deemed too risky by traditional financial institutions. As a mission-driven organization focused on social impact and equitable access, it is critical to Capital Impact Partners to help CHCs fill that gap. That is why we collaborated with long-term partner The California Endowment (TCE) to find ways to better support the growth and innovation of CHCs and ensure that communities do not have to go without the critical health care services on which they depend. Our teams at Capital Impact Partners have spent time talking to health center operators to better understand their needs and how we could help. What struck us most during those conversations was how clinics are expanding their services to take on care that they historically have not provided. As more older adults seek care at CHCs, health care providers are expanding these services to address their needs. Hospitals and Federally Qualified Health Centers (FQHCs) are partnering to better serve local populations. FQHCs mainly focus on primary care, but some are moving into urgent care to reduce emergency room visits at local hospitals. CHCs are incorporating dental and urgent care, as well as new wellness and preventative care services, including healthy food counseling, yoga, and disease prevention and management support. Ensuring that we could create sustainable social impact for California communities meant that we had to adapt alongside CHCs. To meet that need, Capital Impact and TCE established The Healthier California Fund, a $20 million initiative providing loans, grants, and capacity building. Our goal with this new effort was not only to support traditional growth and expansion, but also to foster new innovations in care among CHCs. By helping these organizations meet their range of needs, the CHCs can focus on what they do best: support each patient with care from physical and dental care to behavioral health and overall wellness. We were able to put this effort into action with LifeLong Medical Care, which serves the Richmond community twelve miles north of Oakland, California. A high proportion of the city’s racially diverse population lives below 200 percent of the federal poverty line. 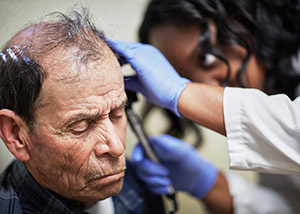 Providing for the needs of this underserved community as the only FQHC meant, for years, that Lifelong had to find any space possible to accommodate patient visits. After working out of three separate sites throughout the city, LifeLong needed to centralize its operations out of one location so it could better serve 7,400 local residents. With financing through our Fund, that site will become the William Jenkins Health Center, a new three-story, 34,784 sq. ft. clinic offering primary care, behavioral health services, dental care, urgent care, and lab and imaging services. The new medical center will also provide wellness services such as diabetes prevention, smoking cessation, music and art groups, and stress management classes. In addition, LifeLong is increasingly serving older adult patients referred to them by regional hospitals. Like the residents of Richmond, patients of both White Memorial and Tri-City have benefitted from more whole-person care financed through the Healthier California Fund, including behavioral and dental health and urgent care services. Before CHCs could expand their innovative services, they needed the skills to manage the process. Many small community health centers work with a lean administrative staff and often do not have the capacity or expertise to take on the additional work involved with planning and constructing a new health care facility. They needed assistance before taking on these projects to make sure they were prepared and had fully considered the impacts the project could have on their operations. Grants were given to prospective CHCs at the beginning of the Healthier California Fund to build their capacity to manage the loans they later received. “We knew that in order to support innovation and help grassroots health centers grow, we needed to provide more than capital. The Healthier California program allowed us to match our capital with the technical assistance these administrators needed to properly plan their projects,” said Wiesner. One grantee that has benefitted from this capacity building element is Roots Community Health Center. Roots CHC was created to reduce health disparities and improve health outcomes among residents of East Oakland, California, one of the most disinvested neighborhoods in the city. Roots CHC serves nearly 10,000 patients, most of whom either use Medi-Cal or are uninsured. Roots provides a range of services, including primary care, behavioral health, workforce navigation, and job creation programs for formerly incarcerated people. Its services also link to transitional housing and entrepreneurship training. Roots needed a loan to purchase and renovate a building and transform it into a health facility to better meet the demands of their community. But this small community organization had never taken on this type of project before, and had to be sure that taking on this building—and the associated construction—was financially and logistically feasible. A grant from the Healthier California Fund enabled Roots to bring on a consultant to help forecast the financial implications of the project and prepare the team for the construction process. Now Roots is ready to bring the project to fruition. Capital Impact is currently working with several more health centers to provide capacity building to get them ready for financing and construction. Combined, these grantees could impact more than 21,000 patients. Overall, the Healthier California Fund has financed seven community health centers that will provide more than 91,000 patients with vital health care. Community members will receive more and more diverse kinds of care as clinics and hospitals collaborate to divide and conquer the health care needs of their patients. Combining capacity building and financial support through Healthier California has helped CHCs expand high-quality and efficient health care for their target clientele. Our continued partnership with TCE will help us expand our work as the largest health care lender in California; we have provided financing to more than 50 percent of all FQHCs in the state. We remain committed to ensuring that CHCs acquire the skills and capital that they need to remain vibrant, vital parts of their community fabric. To learn more about how Capital Impact supports expanding equitable health care access nationwide, visit our Health Care page.